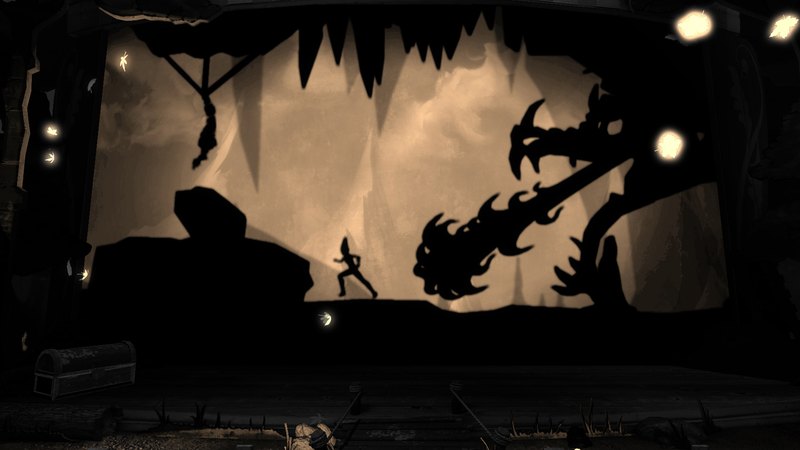 Set in a noir art deco atmosphere, you control Dawn, an imaginary friend who is able to phase from a 3D physical form into a 2D silhouette and jump between shadows. 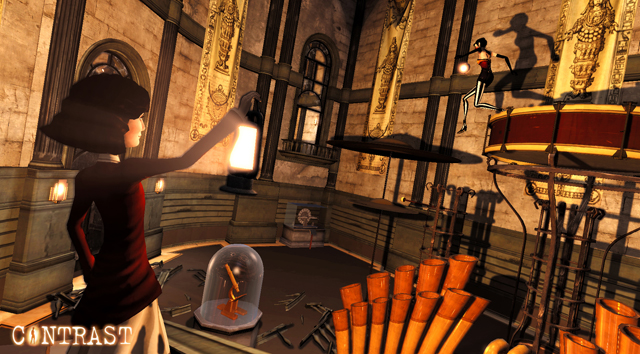 The player must solve puzzles throughout the game that require movement between the physical world and the shadows. In certain areas you’re able to control the environment (move spotlights, film projectors, etc.) to unlock the correct platformer paths and continue through the area. 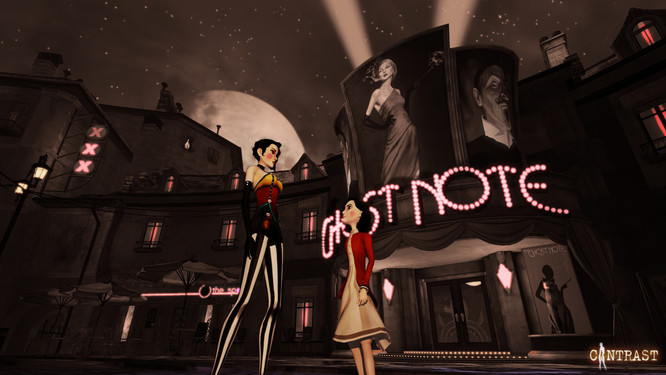 “Collectibles” are also available throughout the game that offer insight into the game’s characters and the world they live in. The plot is based around a young girl named Didi, and her imaginary friend, Dawn. We learn that Didi has a dysfunctional family and things aren’t going the way Didi wishes they would. So, throughout the game Dawn assists Didi with a number of things, including her attempts to fix her broken family. There are other characters in the game that help bring the story together, such as Kat and Johnny (Didi’s parents) and The Amazing Vincenzo, a mysterious and world-renowned magician of sorts. The gameplay was fluid and easy and once you understood the concept of phasing between the physical world and shadows then it was fun. 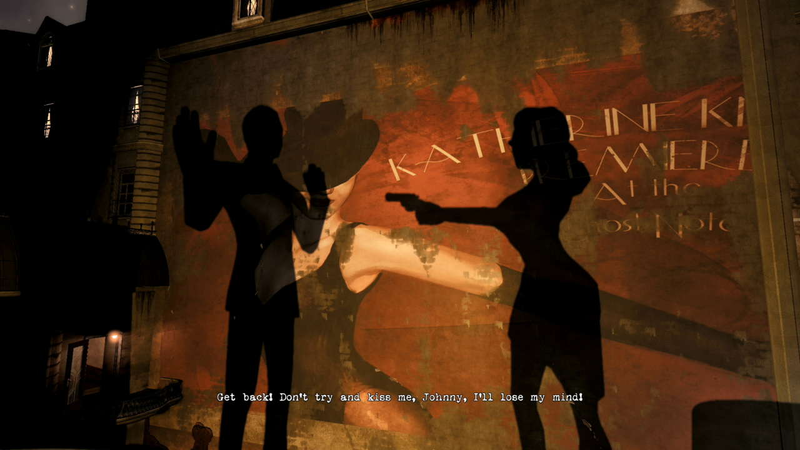 The puzzles themselves were challenging but not overly difficult that it made it unenjoyable, and the cinematography of the game was charming, and I really loved the way the characters looked. 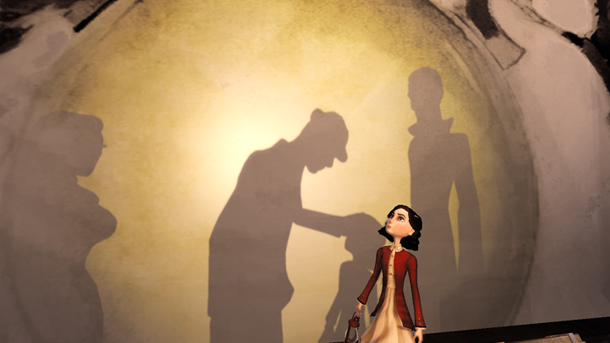 The story was a basic idea but with a twist that really interested me and it was also fascinating that although the other characters were just depicted as shadows they became real just from their voices and movements. The most enjoyable part of the game, besides unravelling the story, was a section of the game where you have to play the part of a princess to save a puppet show, the whole piece was entertaining and challenging to complete. Likewise, it was created perfectly and looked really good. I would seriously recommend playing this game not only for the intriguing gameplay but for the engaging story as well.